So we aren't getting a Batman: Year One movie, but Die Hard Year One is still very much a thing. In the works for a few years now, we haven't heard much about the '70s-set prequel, and even Bruce Willis himself has had to check in on it from time to time to make sure it was still happening. It is, and director Len Wiseman spoke with Slashfilm about his plan for the film, and how he and Willis will decide who plays the young John McClane. If it's set partially in the past that means someone has to be cast as a young McClane. Wiseman confirms we may see younger versions of other characters, like McClane's on again/off again wife Holly, but as for the man himself it will be Willis who has large say in who plays him. Wiseman will, as well, and he says it's because that's how he insisted it be. Maybe they could just slap a prosthetic nose on Joseph Gordon-Levitt again like they did on Looper? No? This sounds like an awful idea, but honestly Die Hard has been on the skids for a while and needs a change. 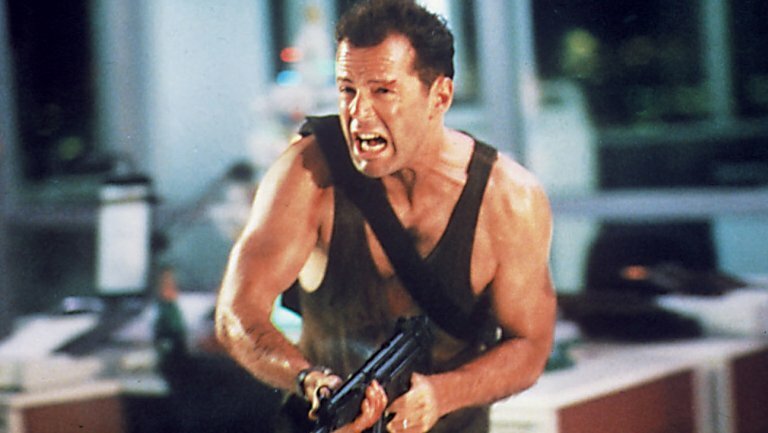 We know as long as Willis is alive and kicking he's going to play John McClane, so might as well hope for the best.